"A tremendous help in cleaning the useless clutter from your hard disk..."
NEW: Version 4.1 is out now! Many new features in this major update. The best is indeed now better! An easy to use interface helps you tell Duplicate Cleaner where to look and what to look for. The unique Selection Assistant will help pick the files to remove. You can delete the files or move them somewhere else for later. Finding similar photos or images - even when edited, rotated or resized - is no problem with Duplicate Cleaner. 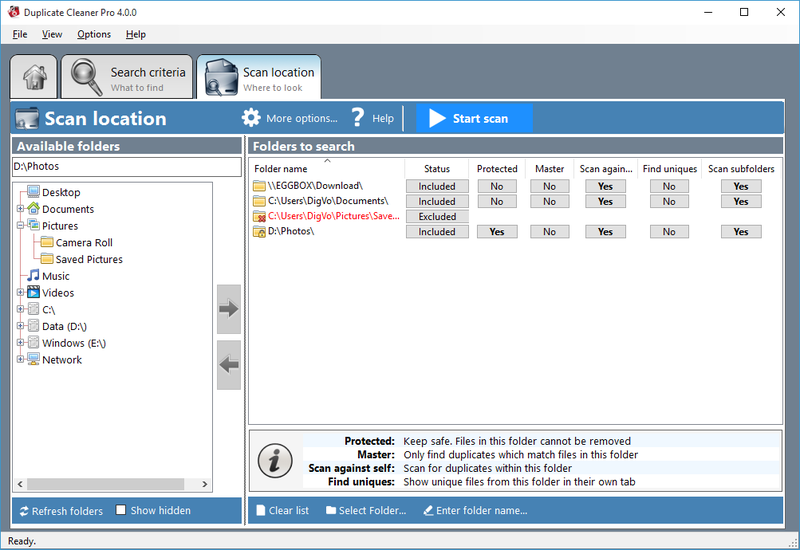 Duplicate Cleaner can scan all popular music formats. Find duplicates by Artist, Name or Title (exact or similar matches). Search on many other tags as well. Duplicate Cleaner has enough features to satisfy even the most demanding power user: find duplicate folders, unique files, search inside zip files, advanced filtering, automated selection and much more. You can now specify an input folder to not 'Scan against itself'. This means you can compare 'clean' areas (e.g. 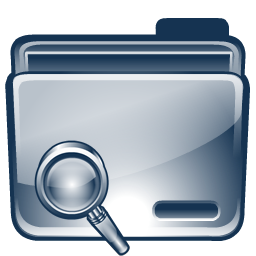 archives, cd's) against other areas without generating unneeded lists of duplicate files. You can also save Scan Profiles and recall different settings for different jobs at the touch of a button. 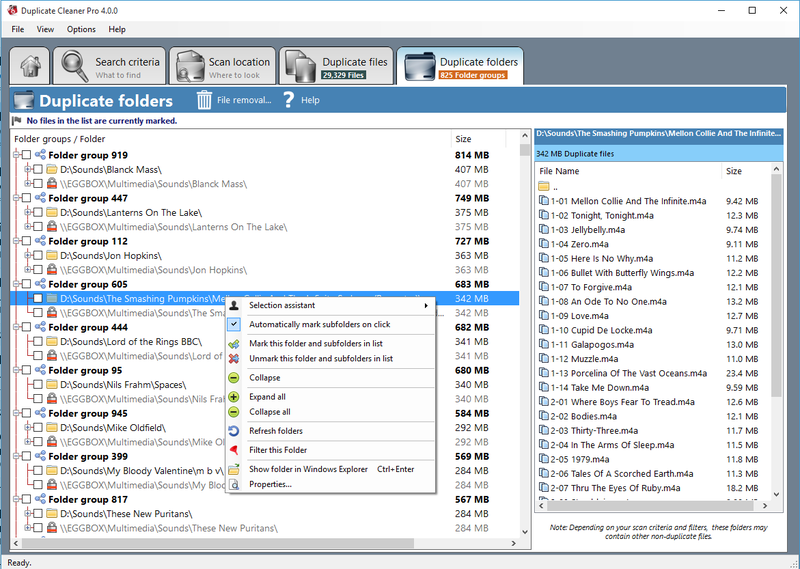 You can scan and compare audio files using Duplicate Cleaner. 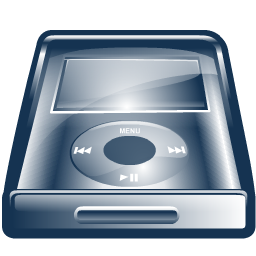 Supported formats are MP3, OGG, WMA, M4A, M4P (iTunes), AAC, FLAC and WAV. Compare same or similar music tags across formats by Artist, Title and Album. A closer look at Duplicate Cleaner in action. 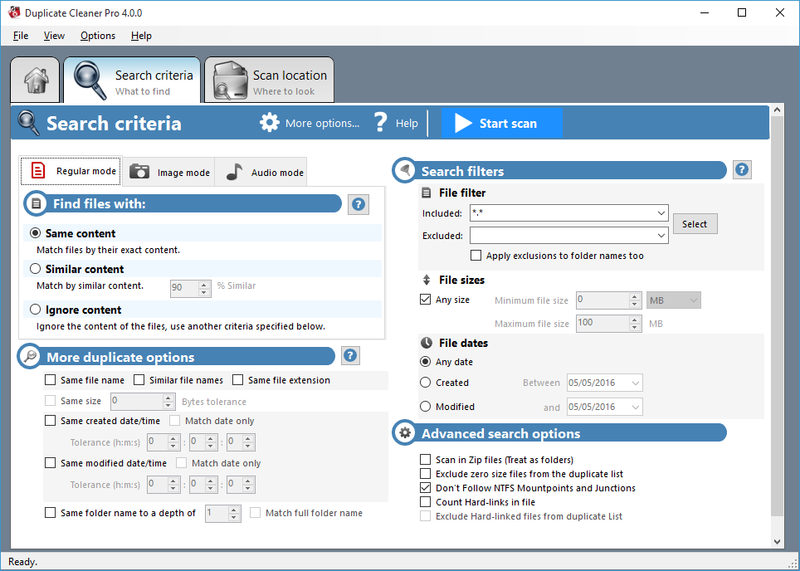 Duplicate Cleaner Pro main screen - setting search criteria and filters. Specifying the places to scan. Duplicate files found and context menu. 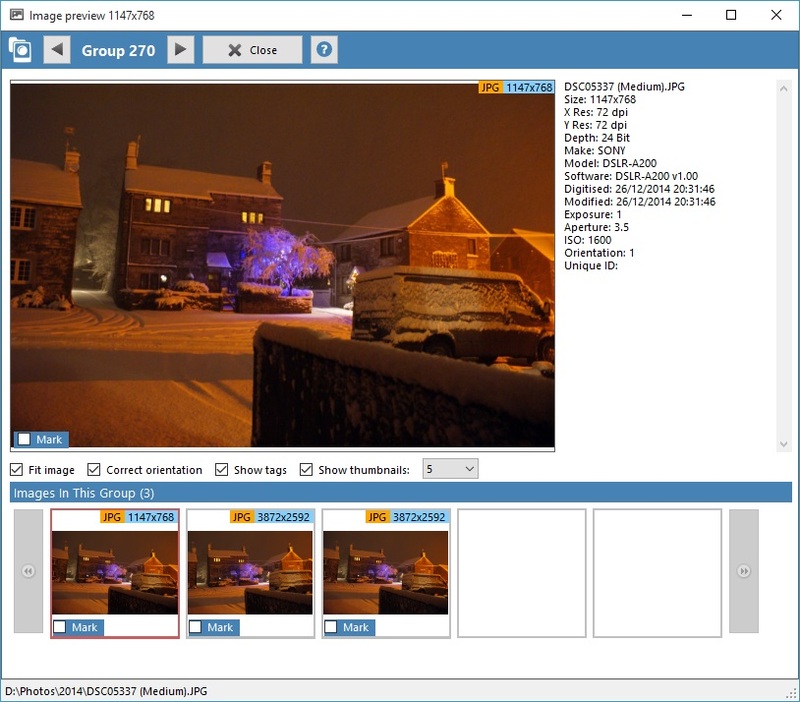 Image preview tool with duplicates browser. Windows 10, 8, 7 and Vista. What is Duplicate Cleaner for? Duplicate Cleaner is a tool for finding and removing duplicate files from your computer or network drives. 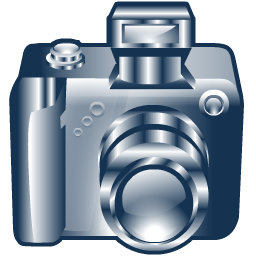 It is intended to be used on user content - documents, photos, images, music, but can be used to scan any type of files. Yes - your download comes with a 15 day trial. You can try out all the features, but there is a restriction on deleting files. How do the free and Pro versions compare? Free has the basic functionality, and is only for personal/home use - not for use in a commercial environment. 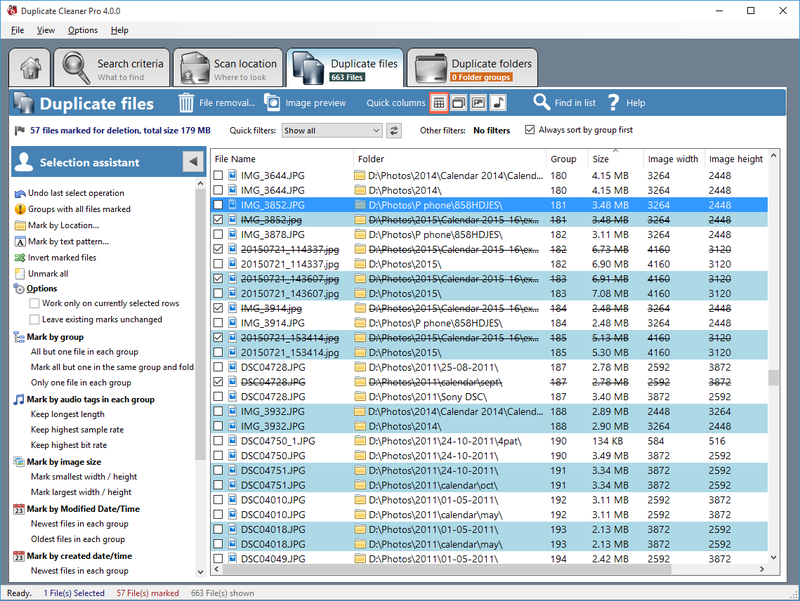 Pro has lots more functions including similar image detection, finding duplicate folders and unique files, searching in zip files and advanced filters and search methods. 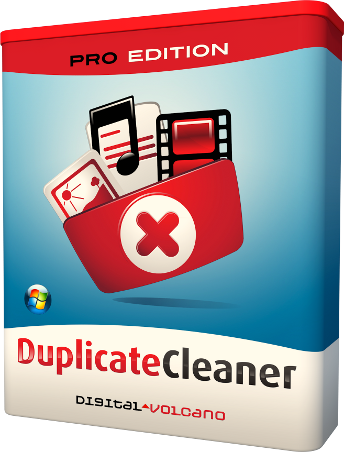 Duplicate Cleaner (Pro Edition) is licensed for Personal or Commercial use. The License is lifetime and all updates to the Duplicate Cleaner 4 series are included in price. Includes technical support by via our support centre and the forum. Is there a manual I can look at? Yes. You can view the manual online here. Duplicate Cleaner online manual. Check out our FAQ in the support centre. You can also drop us a message there. We also have a busy support forum. "Duplicate Cleaner Pro does a bang-up job"
"Perfect, straight out of the box. Amazing. Saved me so much time and effort." We are a UK based company who like to make useful stuff for your computer. Find out more here.